SAN DIEGO -- A San Diego couple married for 75 years told their children they wanted to die in each other's arms, so when it was time their children helped that wish be fulfilled. Jeanette and Alexander Toczko began their relationship when they were only 8 years old. 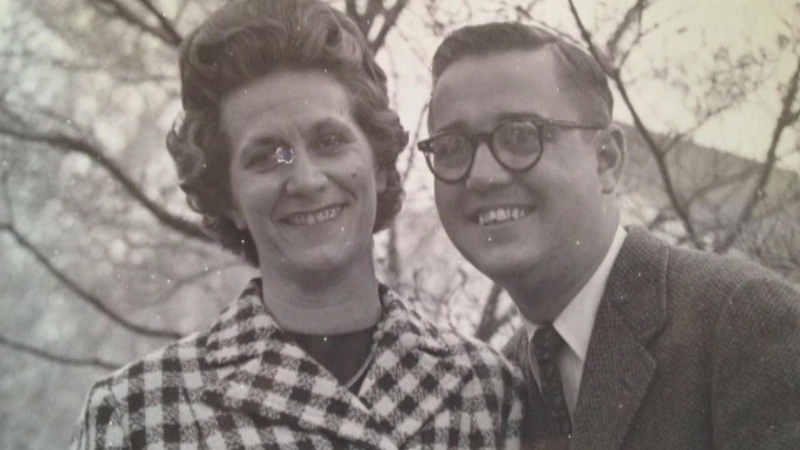 Their children say they lived a life-long love affair. Married in 1940, they moved to San Diego in the early 1970s where Alexander found another love: golf. Alexander played every day at Balboa golf course. Then, in May, his children say he had a fall, broke his hip and his health took a turn for the worse. A hospice brought a bed for Alexander into their home and set it up right next to Jeanette's. "My mother was thrilled to death because it was their anniversary and she knew that he was going and that they had made it to 75 years," says Toczko-Cushman. Alexander died first on June 17. "He died in her arms," says Toczko-Cushman. "Which is exactly what he wanted. I went in there and told my mother he was gone she hugged him and she said 'See this is what you wanted. You died in my arms and I love you. I love you. Wait for me. I'll be there soon.'"